Indoor Cycling (or Spinning®) is a group exercise class where participants ride a stationary bike to the rhythm of music and coaching of a class leader. No matter what fitness level, anyone who can ride a bike can participate. But even if you have never ridden a bike or your current circumstances mean you cannot ride a bike on the open road you can still participate in indoor cycling in a safe and controlled environment. The rider controls the resistance, speed, and their overall exertion during the ride. Each rider can tailor the ride to their own particular fitness level and ability. At LifesCycle we welcome everyone from seasoned cyclists to complete newbies and everyone in between. We have instructors geared to all levels and abilities and classes aimed at meeting a range of requirements. What is a typical weekly timetable? A typical weekly timetable looks something like this – but please be sure to always check on the booking system for up to date schedules or contact us for last minute information. It is all about you, your body and your bike… you are in charge of your resistance at all times, so any ride is suitable for people of all skill levels. Many seasoned cyclists enjoy the less technical classes mixed with their training programme. Below is just a rough guide to the class styles we offer – please have a look at the instructor profiles here for further information or just ask us for suggestions of classes that might work for you. You should start with the newbies class or with a class that advertises an induction at the start. In LifesCycle we believe that first impression is everything – and we want you to come back. Even if you are an experienced cyclist, Spinning® is different and in the newbies sessions we will ensure that your bike is set up correctly and we will also go through the basic moves used in the regular sessions. Looking a class that isn’t too technical, but is motivating for all levels, a really effective workout with great music? Or do you prefer a structured class with a variation of intensities, intervals and training zones where you can work with a heart rate monitor? Perhaps you are a road cyclist or triathlete using your session as a serious training tool? Or maybe you are looking for a more holistic and meditative session? Then look no further for where you can find a range of classes that can engage you now and keep you motivated and enjoying your riding. Are you planning an event? Want to challenge your work colleagues? or know of a group of people you think will benefit from a regular class? Please email the team with any questions or queries you have, we’re more than happy to help. For Newbies we run FREE induction sessions every week and we would like you to attend one of these prior to going to any of the classes – whether or not you are an experienced cyclist, new to Spinning® or indoor cycling or just new to LifesCycle. 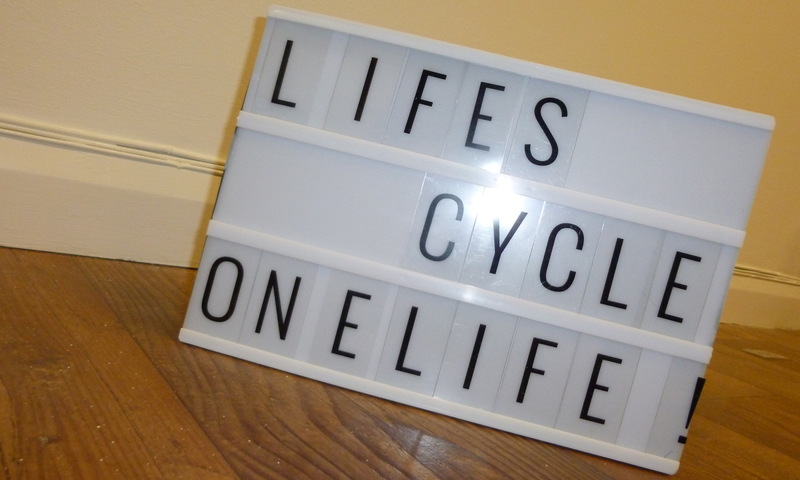 This takes you through the process of setting-up a bike to suit your size and riding style and a run through of the moves, calls and prompts which you will use in a LifesCycle session. You can sign up for a FREE induction session and the class which follows it (using the FREE credits you get when you set up your account online), or you can simply come along to get your bearings. After the induction session you will have learned how to safely and comfortably set up your Spinning® bike and know the basic class stucture we use at LifesCycle. This will make your first full class and all subsequent classes safer and much more enjoyable. Induction sessions take place on a Monday at 6pm, Wednesday at 6.30pm and Saturday at 10.30am. If you cannot make an induction class, please turn up at your first regular class, AT LEAST 15-20 mins early and advise us on signing in that you are new. Time permitting we can then help set-up your bike and provide a mini induction. This is for health and safety reasons and our insurance purposes and we would really appreciate your understanding in this. Please note that we cannot guarantee entry to a class without this. If you are attending a morning class please note that the instructors may not always be geared up in terms of support and time to provide you a full induction. We operate a fully online class booking system where you can also purchase credits to use against bookings. It is quick and easy to set up an account and you can always get the most up to date information on classes and availability by checking the booking system. Please book classes and buy credits online. You can also check up to date information and the detail and timing of classes on our booking system. Changes may be made on instructor availability and attendance. We reserve the right to make changes but we will always provide notice of this and refund/transfer of classes or payment where appropriate. Any questions please call us on 07536 013511.